A perfect choice for dressing up or down! 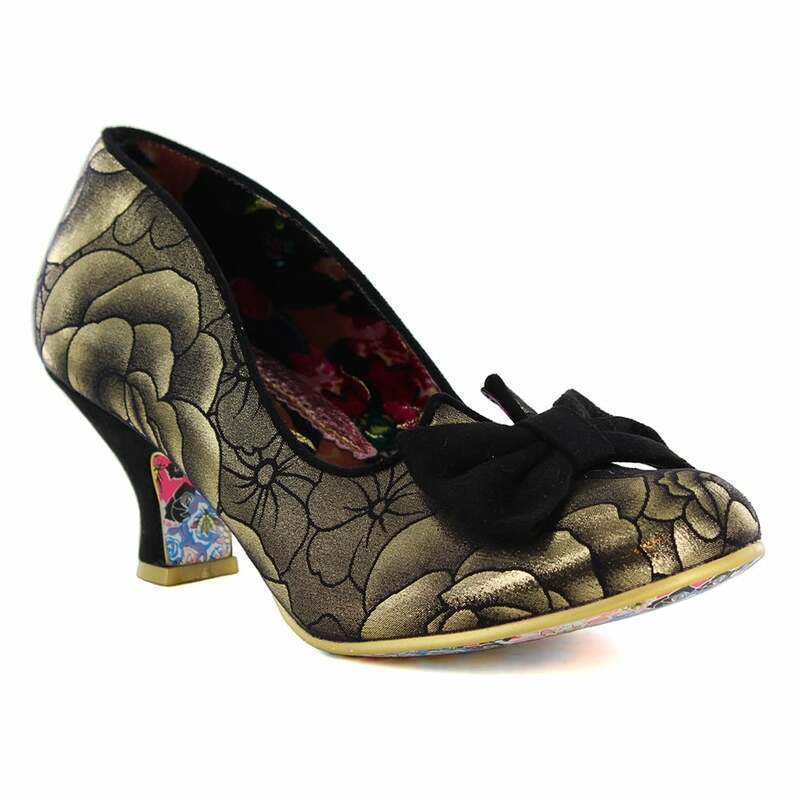 A fabulous new womens court shoe from Irregular Choice. Dazzle Razzle from Irregular Choice is definitely a shoe with the WOW! factor, complete with beautiful floral fabric uppers and a stunning black bow across the toes. Stylish and dainty, these statement shoes are the perfect pair to keep your feet looking pretty and feeling great all day (or night!) long. Inside, the shoe is lined with a soft faux leather material carrying a floral print with a lightly padded rainbow and floral insole. The sole has not been ignored either with its fantastical bird and floral detailing. Wearing these Irregular Choice Razzle Dazzle Womens Low Heel Court Shoes are enough to make anyone instantly fall in love.